We are nine friends who have started a cakebank in Lund. The name comes from the quarter of the town where the initiator of the bank lives. Once a month we have our meetings och we like to talk och eat cookies. We believe in the idea of microloans and especially in the support such loans can give to womens´ business activities. Sometimes we receive updates from the people we lend to. Here's the latest one, from Zainab in Jordan. Read more reports. 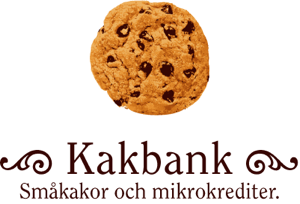 Please feel free to email us at vipeholm at kakbank dot se!